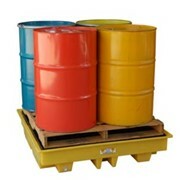 For the safe handling and storage of corrosive or flammable poisons, pesticides, organic peroxides and oxidising agents. 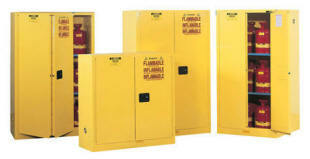 The range of Spill Containment | Safety Storage Cabinet | Hazardous, Flammable & Corrosive products from Reflex is the most extensive available in Australia. 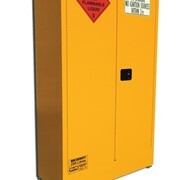 These Spill Containment | Safety Storage Cabinet | Hazardous, Flammable & Corrosive provide a safe, close-by, and secure and timesaving method for storing all types of dangerous or corrosive chemicals & flammables. 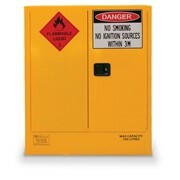 All of these cabinets are fire tested to comply with the FM rating, something no other cabinet sold in Australia can claim, they also not only comply, but also exceed Australian Standard AS 1940. 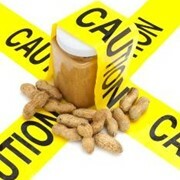 They help you to maintain good housekeeping practice. 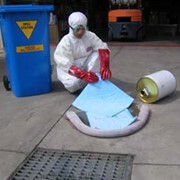 There are over 60 different sizes, capacities & standards for flammable, corrosive substances, insecticide & organic peroxide storage. 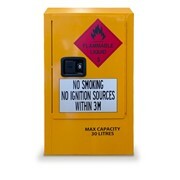 * Fully welded construction with 1.2mm steel & a double wall with 40mm thermal barrier. 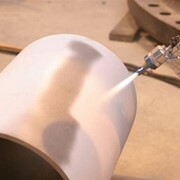 * Superior electrostatic high gloss powder coat paint finish. 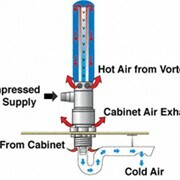 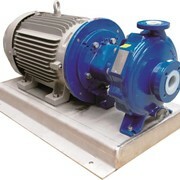 * Dual vents with built in flash arresters. 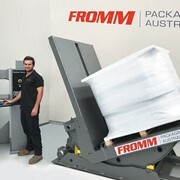 * Close fitting, sequential self closing and latching doors with 3 point locking mechanisms. 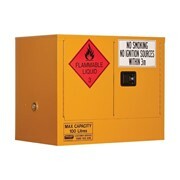 * They are leak-proof with fully welded, 150mm deep, containment sump. 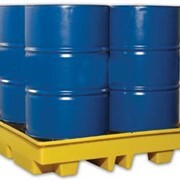 Shelves with built in troughs to contain spills. 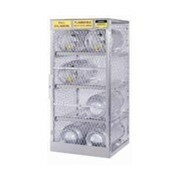 * They feature adjustable height, shelf increments, to maximise space storage. 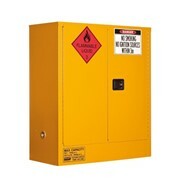 * Fire tested, FM approved exceeds AS1940 compliance. 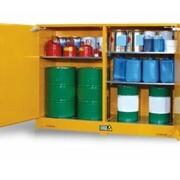 Corrosive and flammable storage cabinets assist productivity by providing product near to the work place thus avoiding the time consuming and often risky practice of collecting from an outside storage facility. 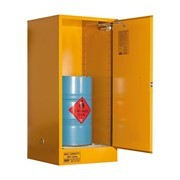 Also available - Pesticide and toxic substances safety storage cabinets.